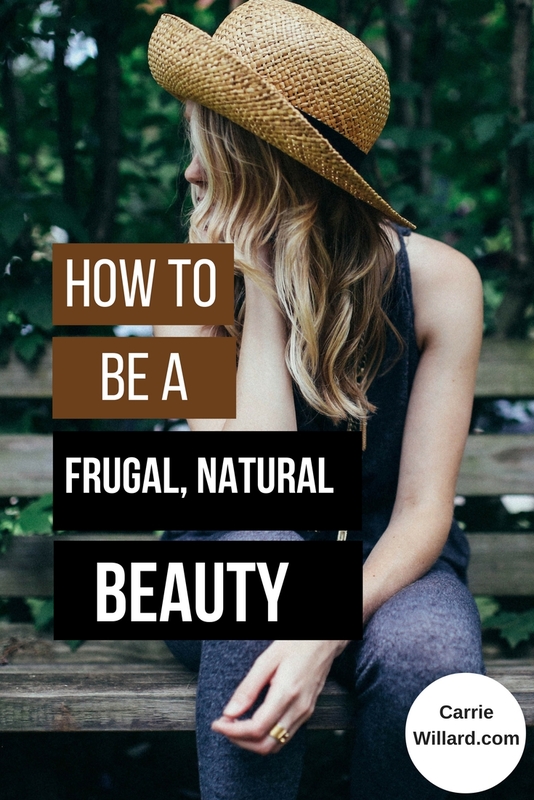 Being a frugal natural beauty isn’t hard if you know a few tricks. It’s just not necessary to spend a ton of money on beauty products to have great skin and a natural makeup look. While it’s great that there are many natural and organic beauty products available nowadays, I’m going to focus on the “reducing” aspect of the equation. If you don’t NEED it, the frugal thing is not to buy it, even if it’s natural and non-toxic. If you read many books written by beauty and skin care experts, most of them agree that you only need 3 products: a mild cleanser/makeup remover, moisturizer with SPF, and something to exfoliate once weekly. That’s it! Toner (or astringent) is unnecessary. Wash your face well and rinse well. Skip the toner. Toner was invented because older cleansers didn’t rinse well. The modern ones do. Most people, unless their skin is extremely oily, don’t need to wash their faces with a cleanser in the morning. Of course it goes without saying that you should thoroughly cleanse your face and remove makeup at night. But as long as you do this well, your face is clean enough in the morning to just splash with warm water. Exfoliation is important for healthy and pretty skin, but you probably don’t need an expensive product. Use a very clean washcloth to gently scrub your face. Or put some baking soda in your hand and use that as a gentle scrub. Or, exfoliate with a bit of sugar or salt mixed with a little olive oil. 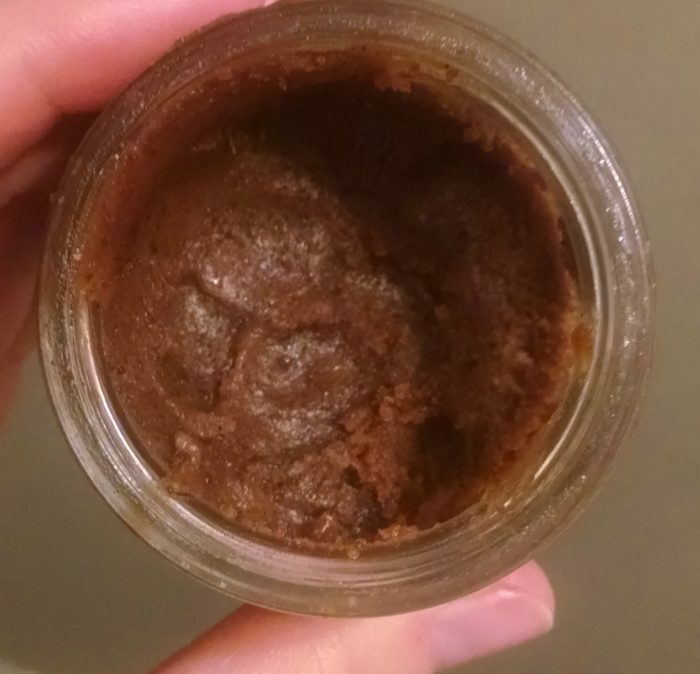 A simple natural exfoliating scrub made from coconut sugar, coconut oil and vanilla bean. Looks ugly, makes you pretty. By the way, olive oil and coconut oil are both great eye makeup removers and moisturizers. Coconut oil in particular is excellent and a natural beauty’s best friend! It can be used for deep cleansing, moisturizing and even for the hair. Skip foundation all over your face. Most people don’t need it all over, but just a little bit under the eyes and around the nose and maybe the chin. Use a little tinted moisturizer or BB or CC cream instead or try mineral makeup, which makes your face look flawless and seems to last forever. 3-in-1 makeup sticks are nice and save time too. Keep your brows groomed. This shapes and “frames” your face without any product. In addition to tweezing, try trimming the longer hairs that stick out after you comb your brows (I use cuticle nippers for this). Skip shampoo entirely and try “no poo” or minimal shampoo. Or, simply rinse your hair with warm water, scrubbing your scalp well. If you do need shampoo, use the tiniest bit you can get away with, and only every few days when your hair is actually greasy. Most people find that their scalp produces less oil when they shampoo less frequently. One caveat: no ‘poo doesn’t work well for many wavy or curly haired girls. I’m not sure why, but I’ve heard this over and over again from other curly girls. I prefer minimal shampoo, once every 4 or 5 days. Try multi use products. Body lotion or conditioner can double as shaving cream. Buy makeup that can be used for eyes, cheeks and lips. As I mentioned earlier, coconut oil is an effective facial and body moisturizer, hair conditioner/styling product, and an ingredient in natural deodorants and toothpastes. It’s also a great, um, personal lubricant. Making your own skin care products usually means you’ll use less packaging. It doesn’t have to be super complicated. You can mix honey and salt to make a body or facial scrub. Or sugar and olive or coconut oil. Lemon juice, salt and olive oil are great to exfoliate and bleach elbows and heels. Here are more frugal natural skin care recipes. Personally, I don’t make my own. I buy my natural skin care products from Grove. 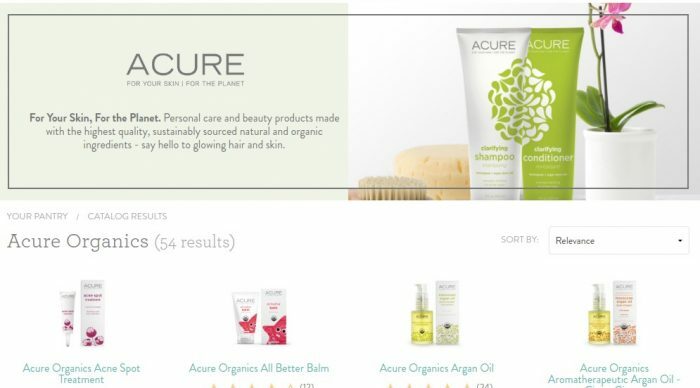 I love the Acure line as they’re non-toxic and natural and use healthy oils to nourish the skin. These products seem to last forever because only tiny amounts are needed. Read more here about how Grove saves me time and money. Or, go directly here and get $10 free AND a free product just for starting out! Grove’s prices are excellent, and they offer other natural brands too, including EarthPaste toothpaste (my favorite). I have a story here. My sister has super thick, curly hair, the kind that other people spend $100 per perm to try to achieve. Now, she accepts her hair and doesn’t fight nature, but when she was a teenager and everyone had Farrah Fawcett wings, straight was the look. So she would spend money and time trying to chemically straighten her hair, which was mostly an exercise in futility! Personally, I stopped coloring my grey several months ago and I absolutely love my hair. While I used to spend time and money fighting nature, now I embrace my “highlights”, and I’m far more confident than I used to be. A frugal beauty accepts her natural face. Freckles are cute. Don’t cover them up. Curly hair is beautiful and doesn’t have to be straightened (and vice versa). Ask your hairdresser to help you choose a style that works with your facial shape and hair texture. The more you try to change your natural look the more money and time you’ll spend. Stop eating sugar! Sugar prematurely ages the skin. Read more about how I gave up sugar here. Another way to go green with your beauty and save money too is to use up what you have on hand before buying more! Also, if you enjoy reading frugal natural beauty tips, grab a copy of my book, The Temporary Tightwad . There’s a long chapter in it with dozens more frugal beauty tips. Another favorite beauty read is The French Beauty Solution . Those French ladies are all about natural, minimalist beauty. You might also enjoy this article on Bible beauty secrets – what did ancient women know about beauty that we modern ladies can learn? Now- what are your favorite frugal, natural beauty tips? I have totally fallen in love with the no-shampoo method. I use baking soda to wash my hair and lemon juice in water to rinse. I have been doing it for three months and I absolutly love it!!!! While olive oil is good for many things, it is very heavy. Jojoba oil is lighter and most compatible with human oils. Very good for hair and skin. It’s available in bulk at most natural food stores. I disagree about toner being unnecessary: toners help seal the pores of the skin after warm water cleansing. For a natural and frugal toner, try witch hazel. Witch hazel is also indispensible to soothe sunburn and bug bites. A mixture of witch hazel and rosewater (widely used in Mediterranian cooking) in a sprtiz bottle feels wickedly indulgent, even though it’s not. Hi Tessa – great tip about witch hazel. Thanks for sharing that. I find that I can use ONE or TWO drops of olive oil on my face at night and it doesn’t make my skin greasy. I apply it after my face is still wet from washing. Then I pat it in. I use diluted tea tree essential oil on my very blemish prone oily skin after cleansing. I make most of my own beauty products and also use simply natural ingredients like grape seed oil for a moisturizer. I do love my toner though, which is a mixture of witch hazel and tea tree to prevent breakouts. Really enjoyed this natural post about makeup and cleansers. No more wasting money on toner. Great info on eyelash curler and spend the money on a good lip stick. Natural is always best. That’s a good point, maybe I’ll add it later. Very oily or acne-prone skin may benefit from a toner. Thanks for adding that! Great tips, Carrie. I’m absolutely trying the eyelash curler. I always wear minimal make-up, concealer under my eyes (dark circles) & mascara. It sure would be nice not to have to purchase mascara any longer! Going to check out the Acure brand, however, I’m using skincare products from MadeOn Skincare (hardlotion.com). I always have really dry, itchy skin in the winter & the hard lotion bar has really helped with that. And there are only three ingredients in the bar. I also use the shea butter with rose hip oil moisturizer for my face & the goats milk soap. Great products! So interesting! I never realized that toner/astringent isn’t necessary! These are really helpful tips! I know from experience that when I eat right, my skin feels better!! Something I do that helps me is I use pure essential oils on my skin. Lemon in the morning, Frankincense in the evening! So true about coconut oil being a good personal lubricant…it’s all we have in our house for that type of thing. I don’t generally use coconut oil on my skin. I use a mixture of castor oil and grapeseed oil when oil-cleansing, and I use a tiny bit of grapeseed oil to moisturize afterwards if necessary. I tried water-only-washing for a while with my fine, straight, thin hair, and it didn’t work. I gave it a good six months, and my hair was a greasy, stinky mess. My husband, bless his heart, never said a word. Now, I use a fairly natural shampoo every 3 or 4 days, and use cocoa powder as a dry shampoo if needed on the 3rd or 4th day. 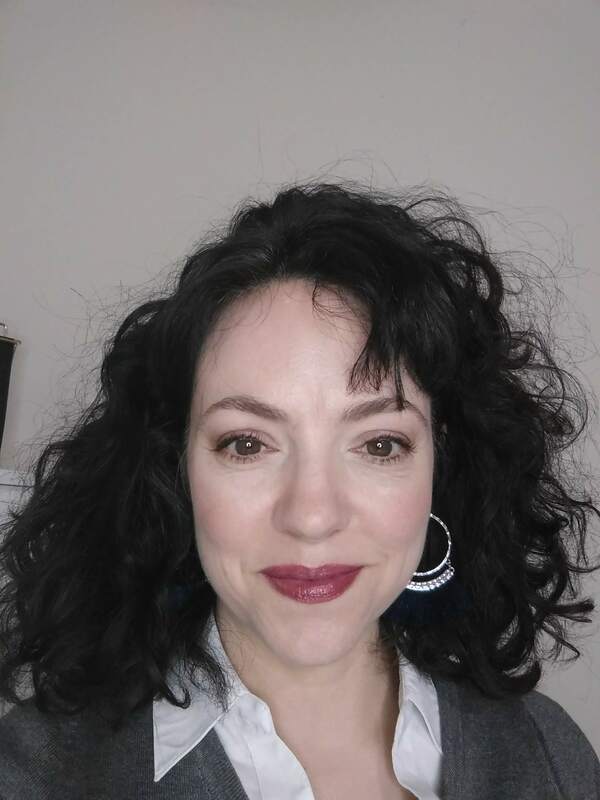 I don’t love my hair routine, but I figure it’s better than washing my hair with non-natural shampoo every 1 or 2 days. Carrie- I could hug you for this post! I have actually been on a mission lately to find products that are exactly that: healthy, non-toxic, and environmentally sustainable- its always something Ive been interested in but have never taken the time to learn more, mostly because it seems overwhelming. I’m perfectly aware that products can claim ‘Natural’ and not have any standards that they have to meet- and there are so many ingredients that its overwhelming to know exactly what chemicals or compounds to stay away from – esp since many can have different names. I was doing some searching on the Environmental Working Group website and found their information helpful but limiting. I love that the Grove website you linked to spells out exactly what their products don’t contain and WHY! I’m also really intrigued about the shampoo / no shampoo topic. I have a friend that stopped using shampoo and I don’t think she has any complaints, but I am mostly concerned about odor. We just were gifted ACURE from my mom last month in little baskets she put together, and I love it, their day time moisturizer for oily/combination skin is the only thing besides BeautyCounter that will not make my husbands face break out-even other natural things or oils will make him break out, so that is a good line! Didn’t even think to look if they affiliate, but absolutely love what we’ve tried from them so far! I have a curly hair baby (now 5) and I stopped using shampoo on her when she was very little, maybe 6 months or so. Because shampoo, even gentle, natural ones would dry out her hair and split it. I then stopped using it on the rest of the littles with fabulous results, so I thought I need to quit that habit too. It has taken me a very long time to adjust, but I can say my hair is now much healthier and stronger. I totally love it and kick myself in the behind just thinking about how much shampooing was destroying my hair and how much I spent to do that to myself. Just found your blog and will be trying to catch up with all your writing. Thanks!